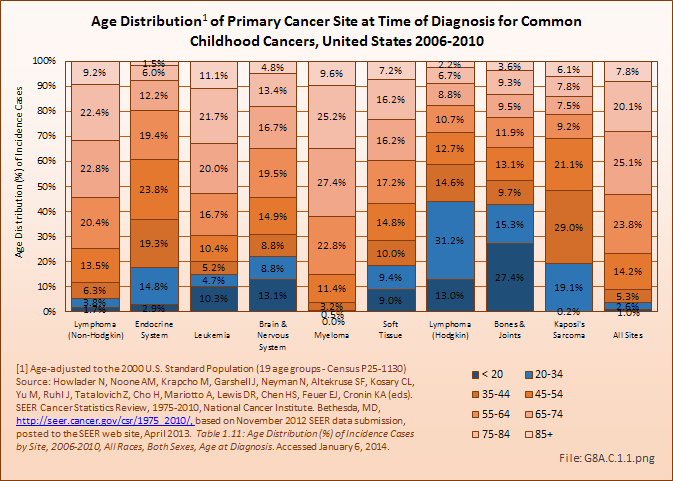 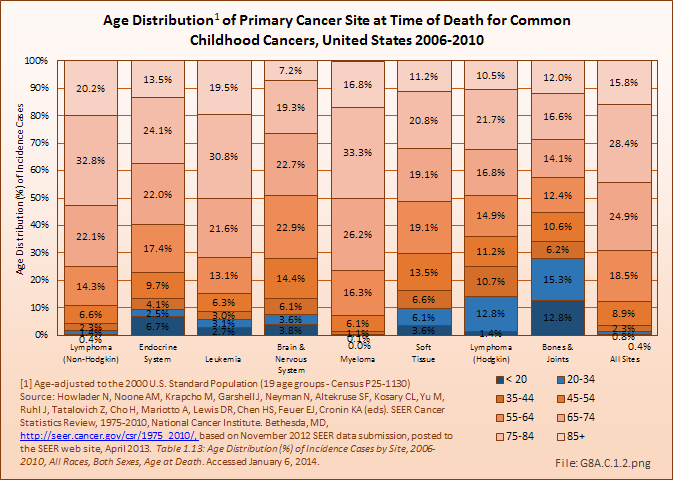 Cancers of the musculoskeletal system affect both children and adults, but virtually all tumors have different age-based frequency. 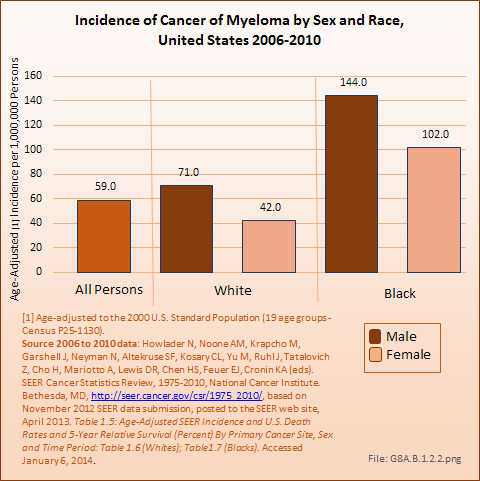 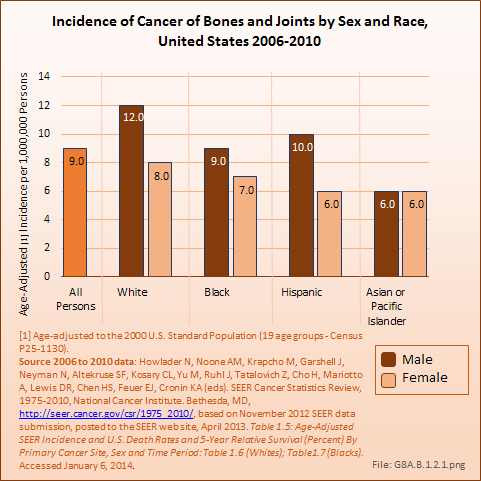 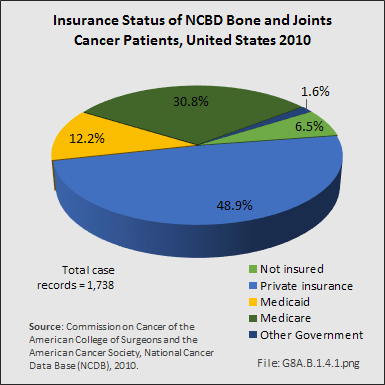 Myeloma, the cancer of the bone marrow, affects older persons more, while other bone and joint tumors are more prevalent in children and young adults. 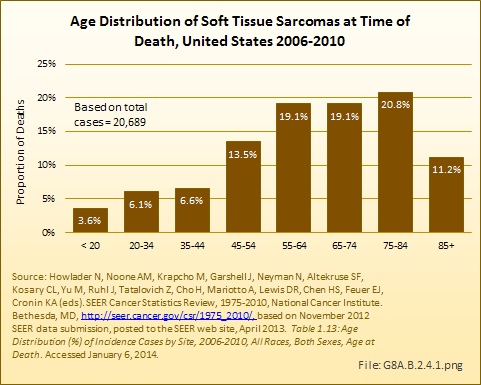 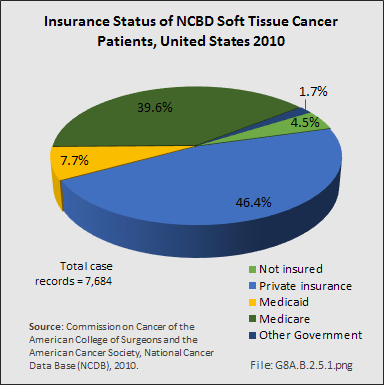 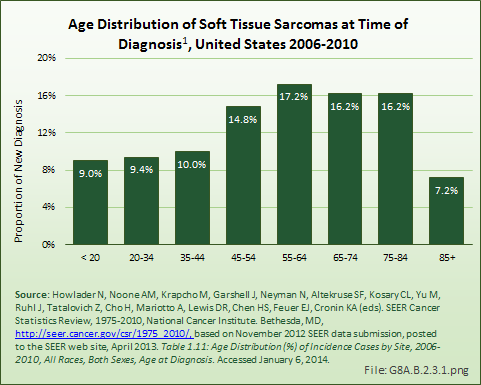 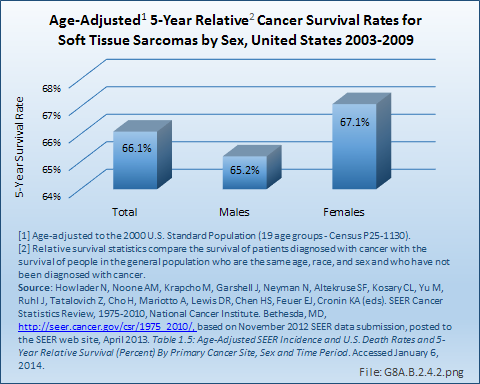 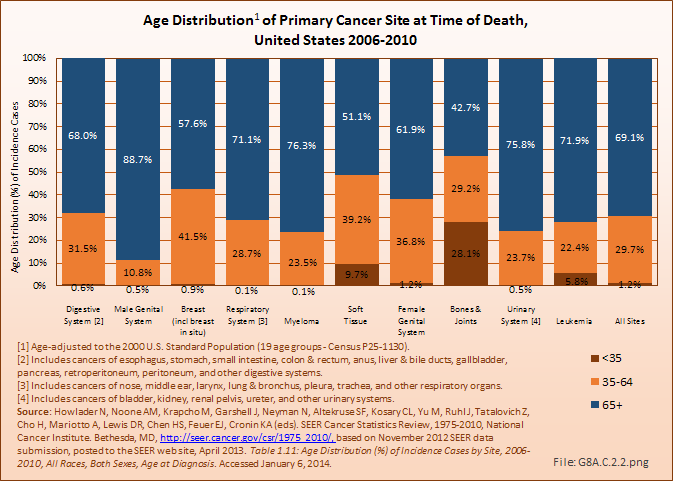 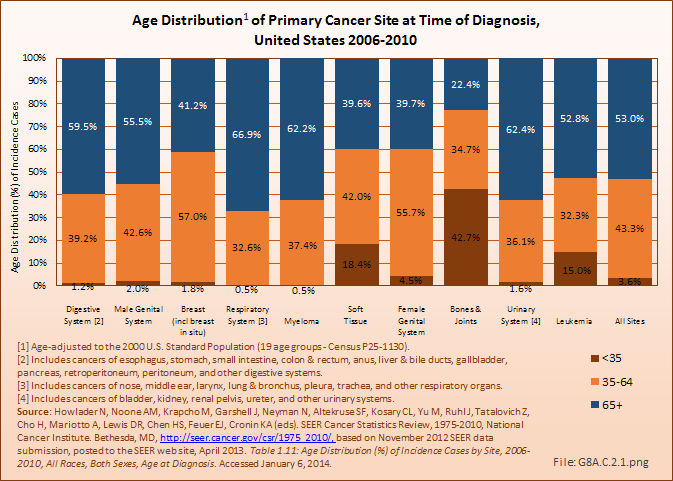 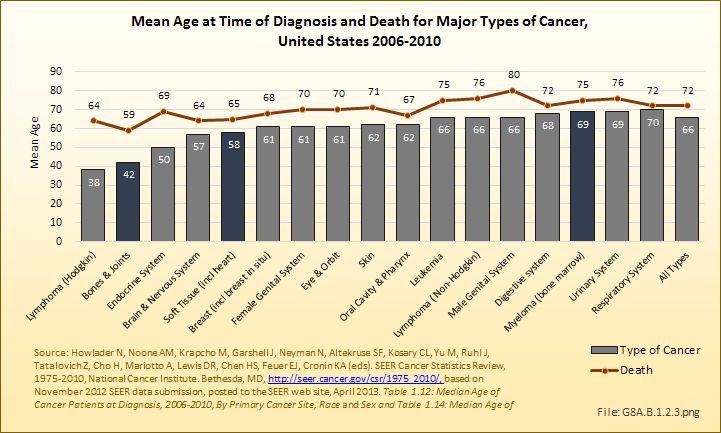 Soft tissue sarcomas affect all ages, but most are more common as persons reach middle age and later years. 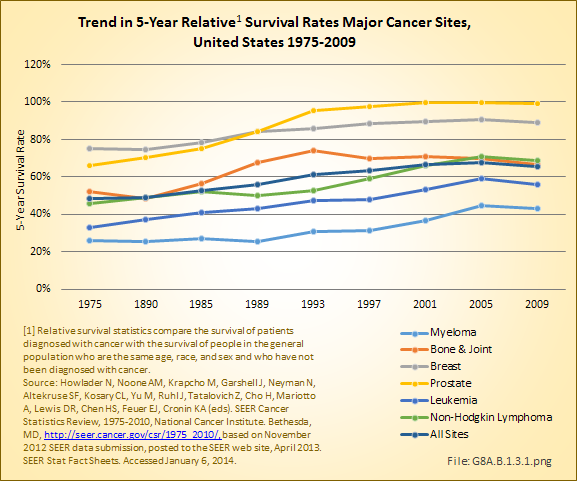 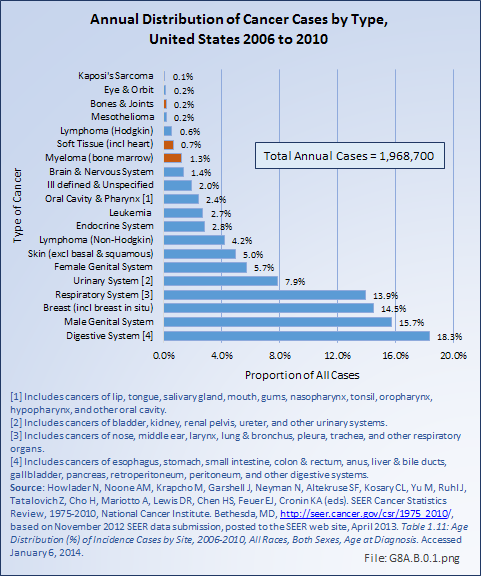 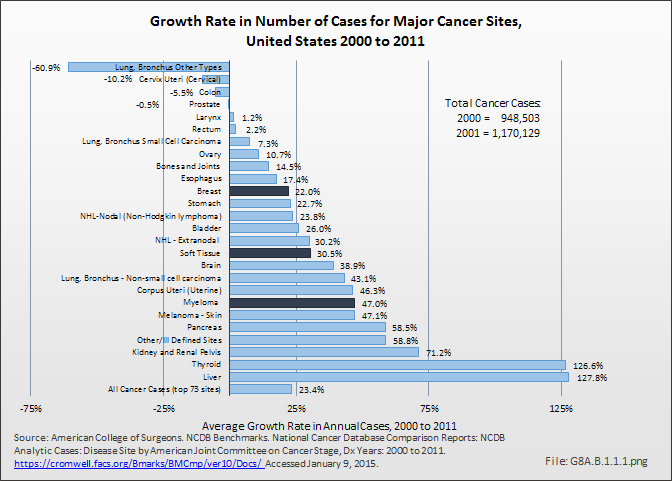 See individual cancer discussions for further information.